Whether you’re dreaming of the perfect home for you—with the ideal location and footprint, the must-have boxes ticked and that special something—or you’ve found the home of your dreams, it’s high time to secure the best home loan for you. But with so many options out there, what’s the difference between the loan types? More importantly, how can you know which one is right for you? And where do you begin? You’ll be paying on that loan regularly for many, many years to come, so you want to make sure it’s a fit. Let’s look closer at the types of loans you might want to consider and whether they might be right for you. If you’re a buyer who plans to stay in your new house for a while, and if you’re the type of person who wants a loan rate that remains the same throughout the life of the loan, a fixed-rate loan might be the right choice for you. These are the most common home loans, and are available in a variety of loan terms, such as 30-year, 15-year and others. To qualify you’ll want to make sure you have good credit and a down payment of at least 10 percent. Also known as ARMs, adjustable-rate mortgages are a fit for buyers who may not have great credit, as well as people who plan to sell their property before the rate changes. ARMs start at a rate that’s lower than a fixed-rate loan, but later that rate changes in response to changing interest rates. 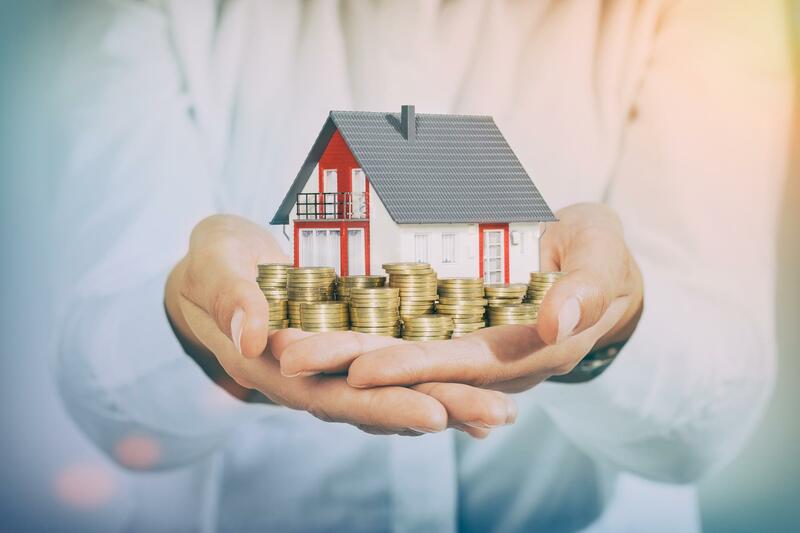 It can cause financial hardship if the loan rate adjusts quickly and skews higher than the borrower anticipates, so it is important to consider this option carefully. If you don’t qualify for a typical loan as you haven’t had a chance to pull together much of a down payment, you might want to consider looking into a Federal Housing Administration loan, or FHA loan. FHA loan rates are typically fixed for terms of 15 or 30 years, and buyers can qualify with as little as 3.5 percent down payment. If this loan option seems like the right fit for you, it’s important to note that borrowers are required to purchase mortgage insurance—an essential consideration for budgeting. Have you served in the U.S. military? You may be eligible for a Veterans Affairs loan, or VA loan. This loan type enables our nation’s veterans to secure housing, even if they don’t have a down payment saved up. In addition, no mortgage insurance is required. If you have a history of military service, and your length of service and the type of home you are buying fit the requirements, a VA loan might be a fit for you. Is your family hoping to live in a rural area, but money is tight? Rural families who dream of owning their own homes but have limited financial means may find a workable solution in USDA loans. With these types of loans, no down payment is needed and borrowers are eligible for a discounted interest rate. Be aware, if you qualify, you’ll have to purchase mortgage insurance. If you are in the process of selling your existing property but need to act fast on a property you want to purchase, a bridge loan may be right for you. Also known as a gap loan, bridge loans allow you to combine both mortgage payments into one. To be eligible your credit must be solid, and you have to prove a low debt-to-income ratio. Finding the right home loan for you is as important as finding the right home. With so many options to choose from, there’s bound to be a loan that fits your finances and your family’s needs. Choose carefully and consider any special requirement for each, and you’ll be in your new space in no time.